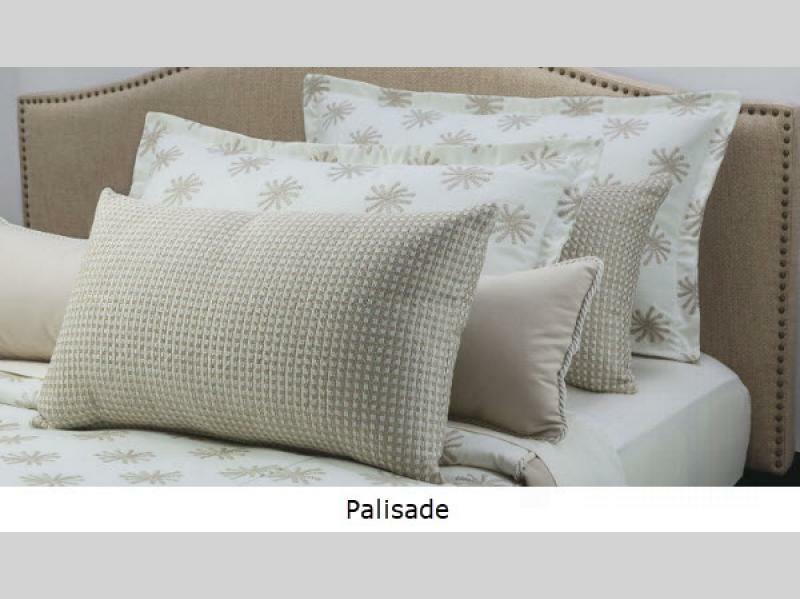 Call 509-921-9977 19605 East Cataldo Rd. 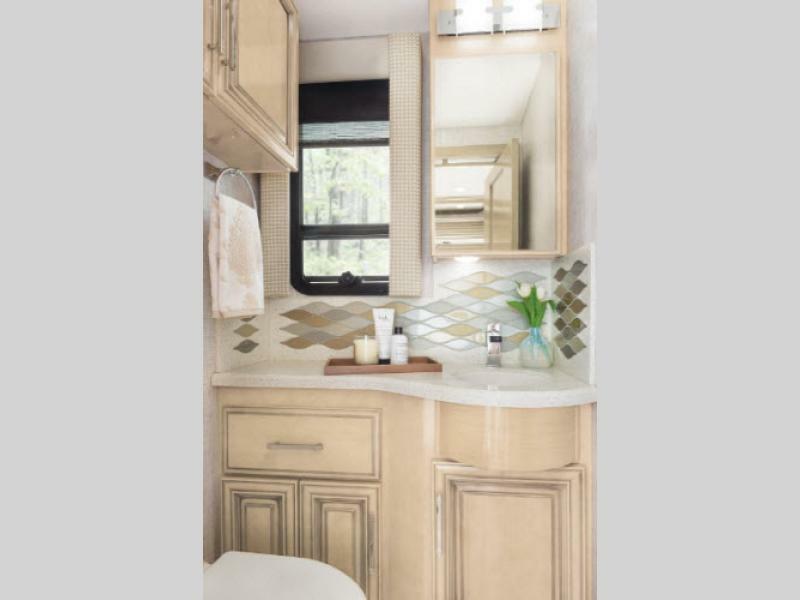 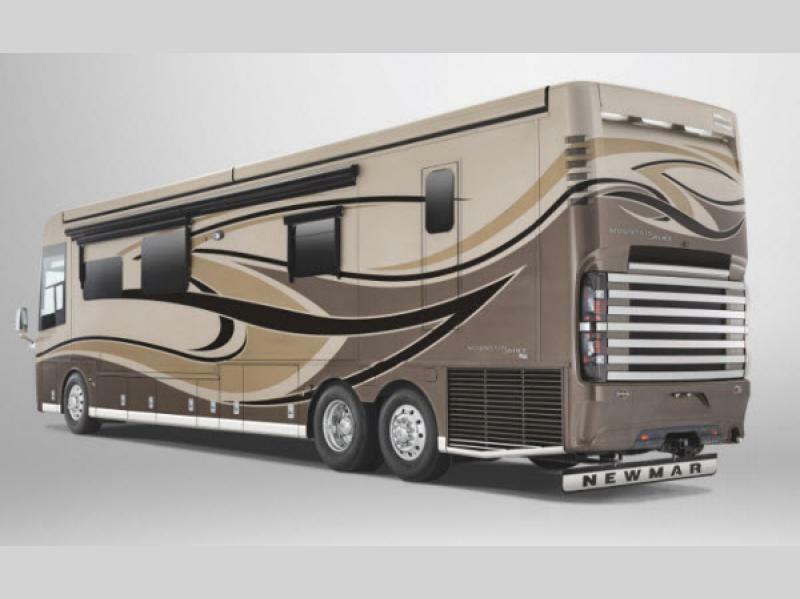 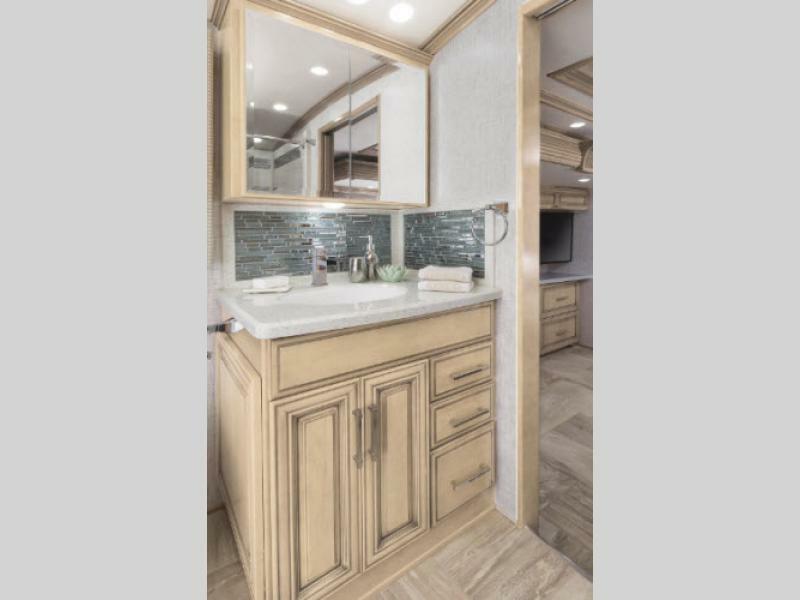 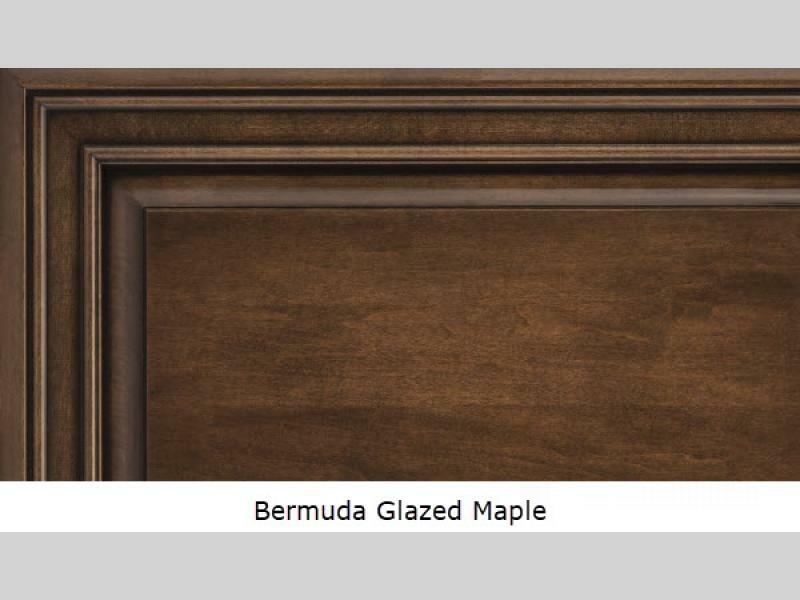 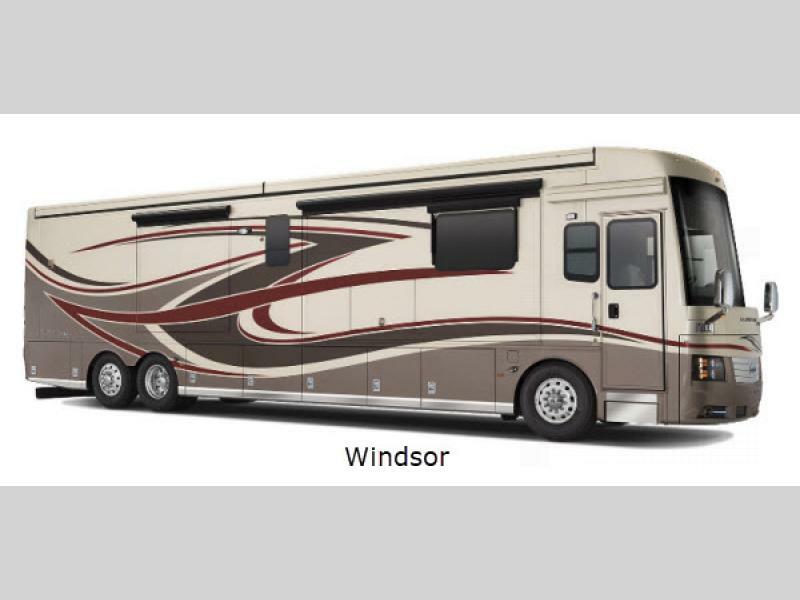 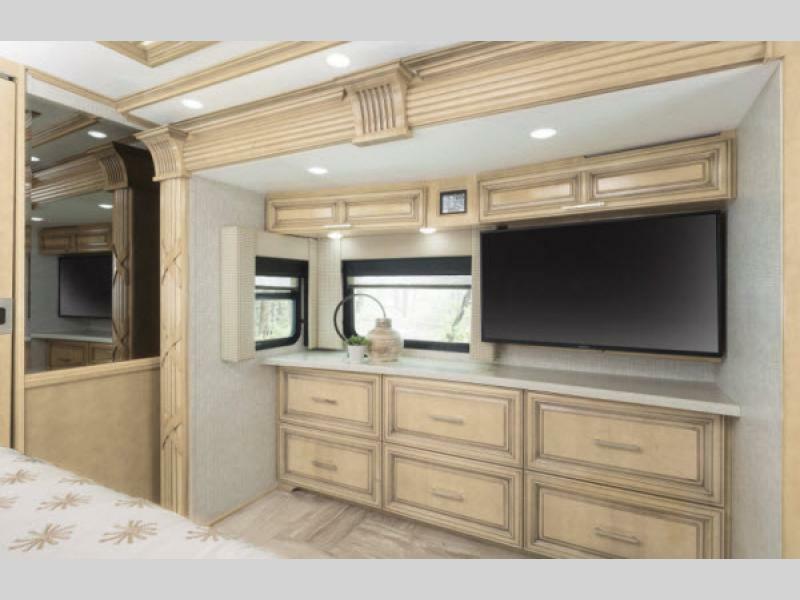 You will be creating your own classic beauty when you select Newmar's Mountain Aire diesel class A coach for your traveling home. 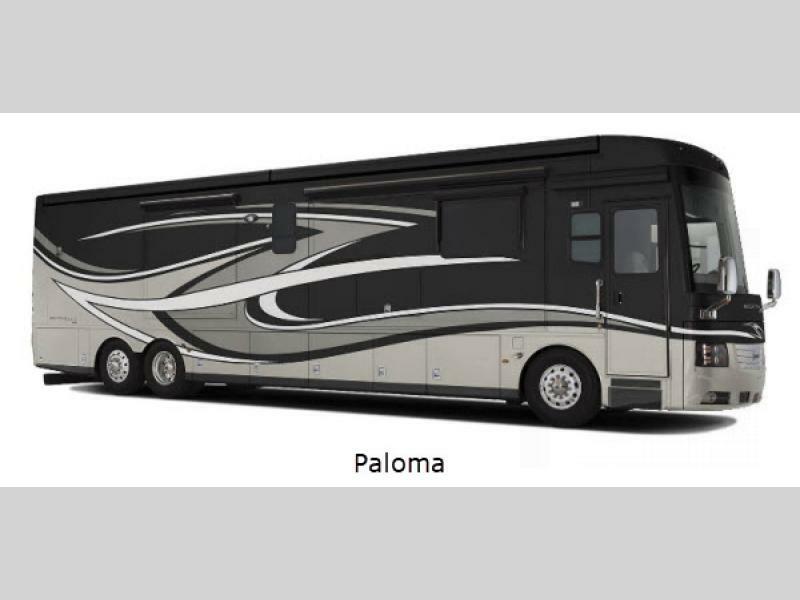 This luxury coach tells the world that you have arrived, and you have impeccable taste! 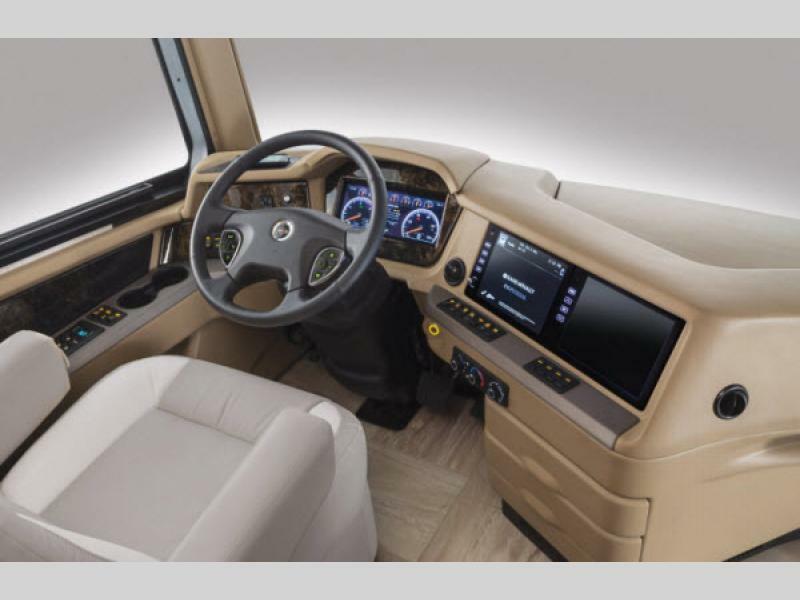 Powered by a Cummins® 500 Hp engine atop a Freightliner or Spartan chassis you can go just about anywhere. 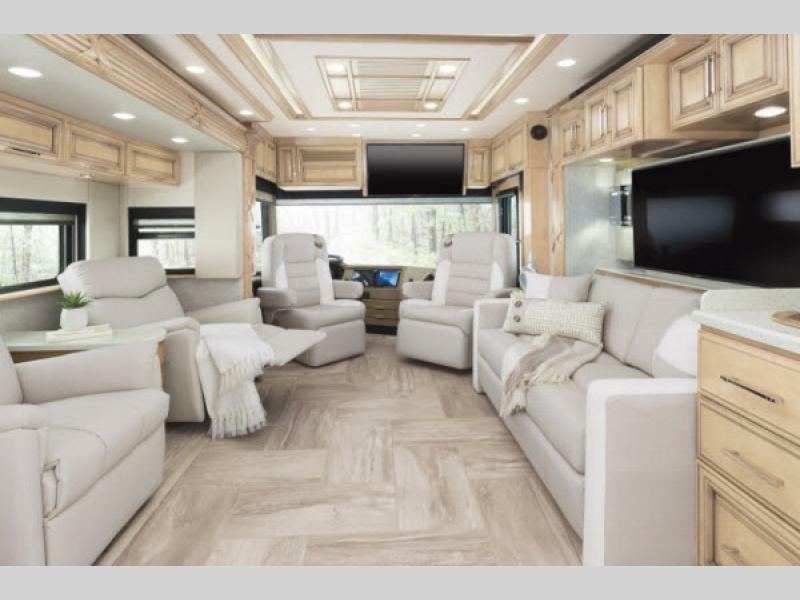 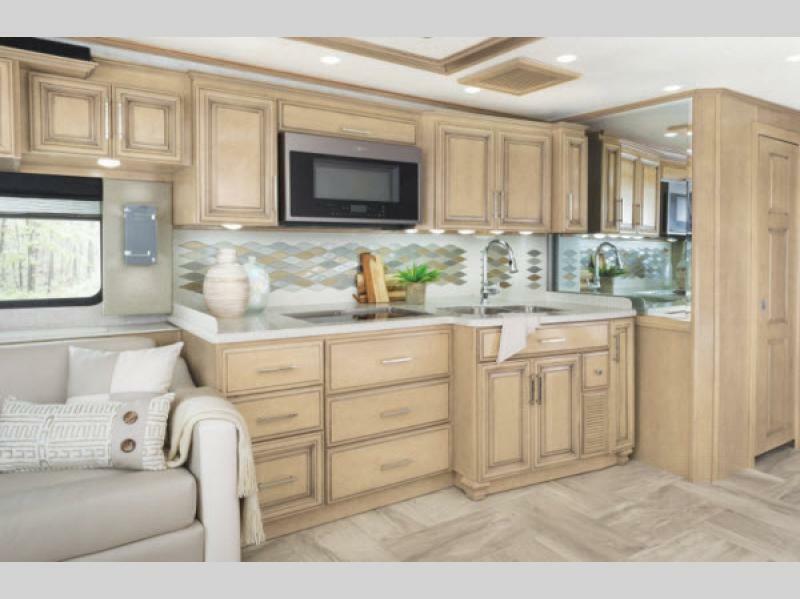 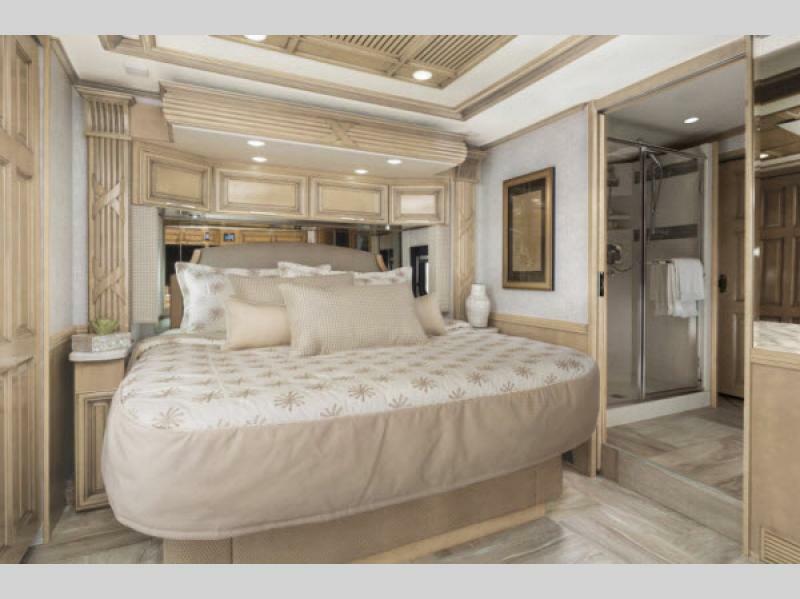 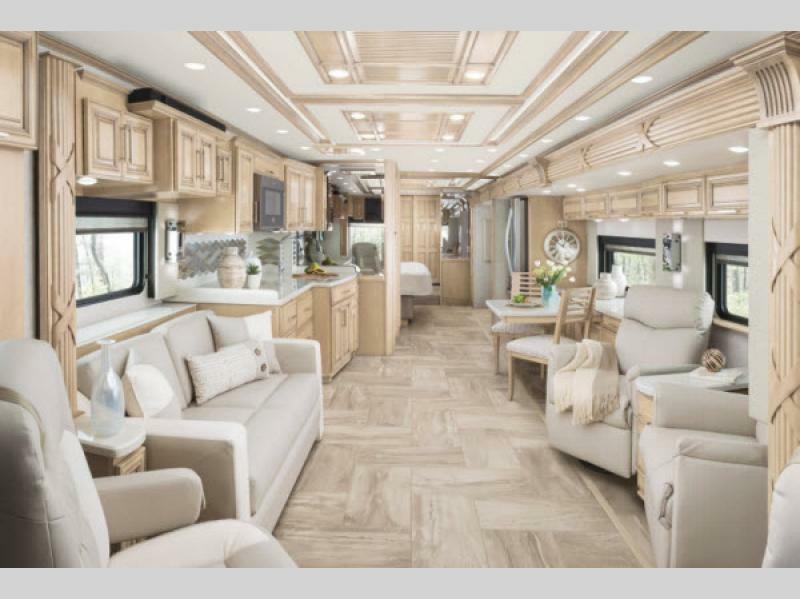 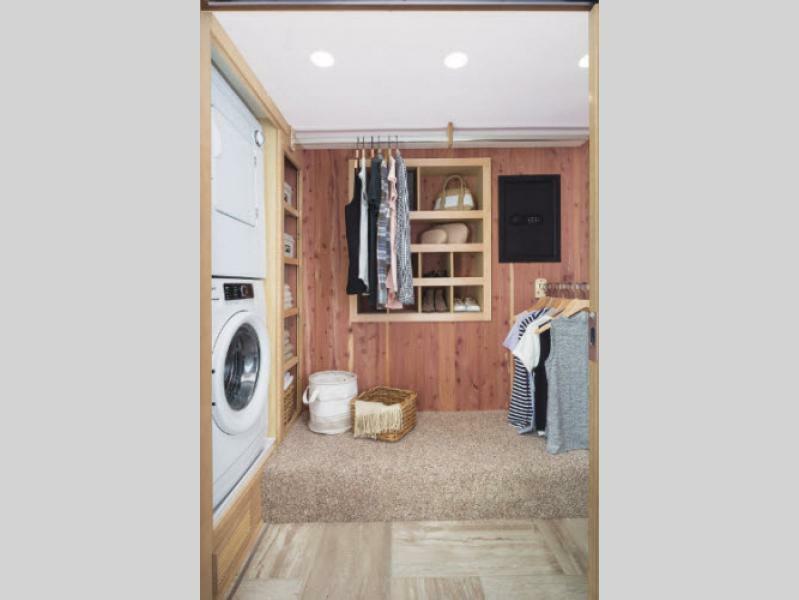 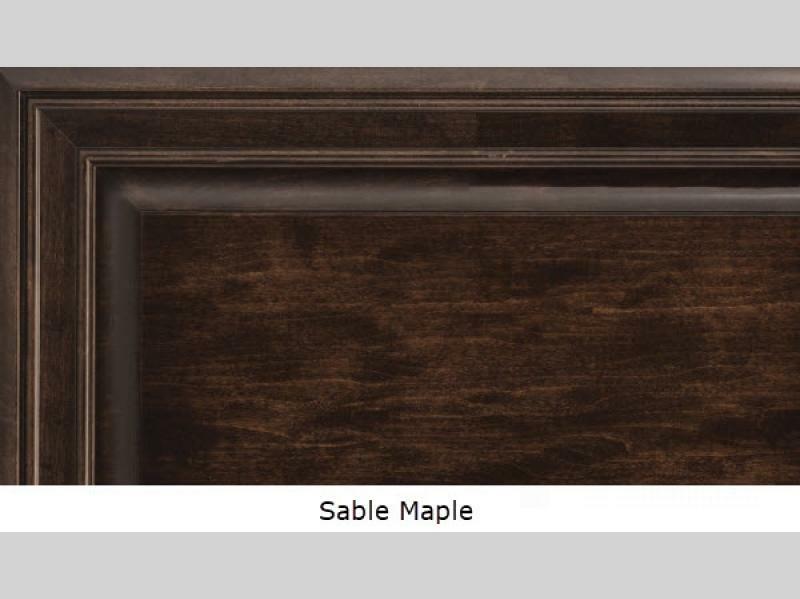 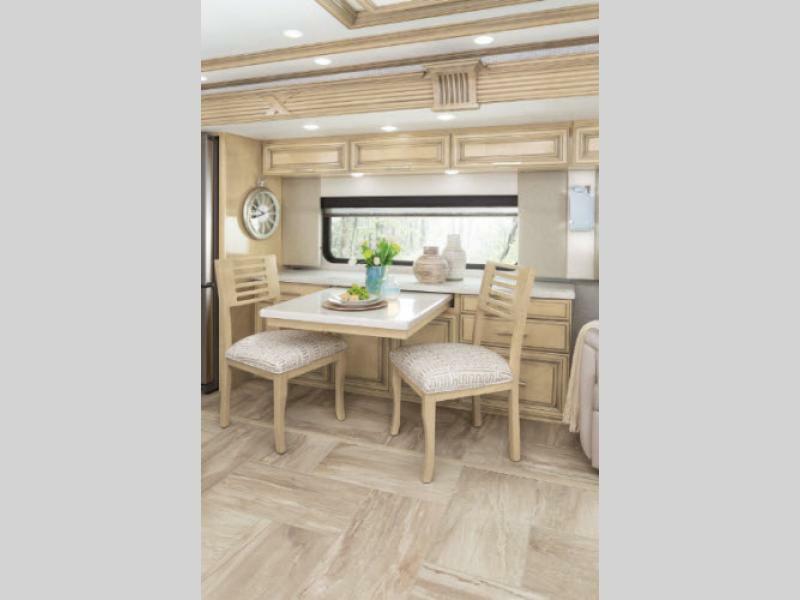 Being one of the most well-appointed coaches that you can buy, the Mountain Aire offers you the choice of several contemporary designed floorplans for this year. 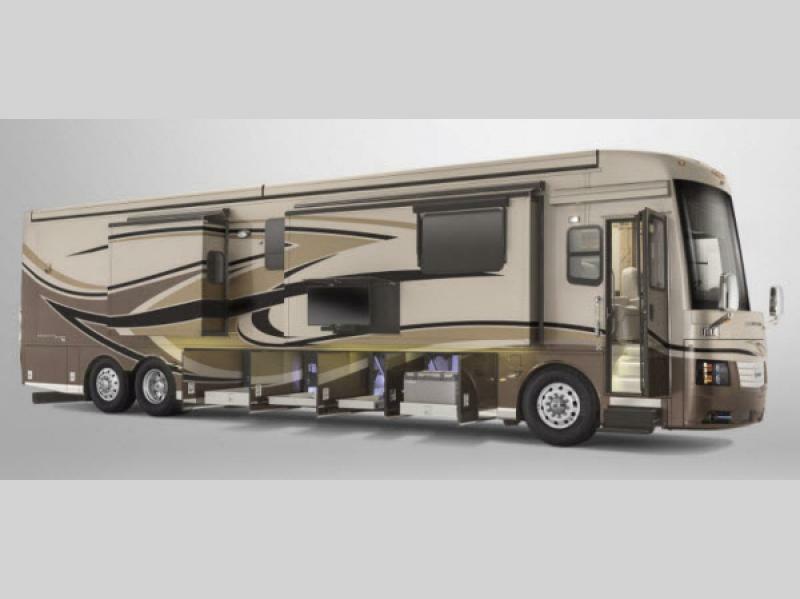 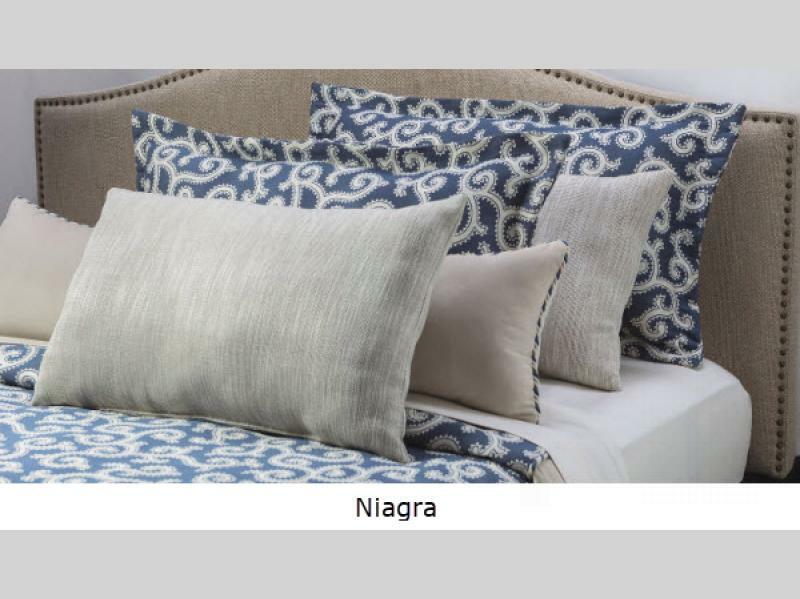 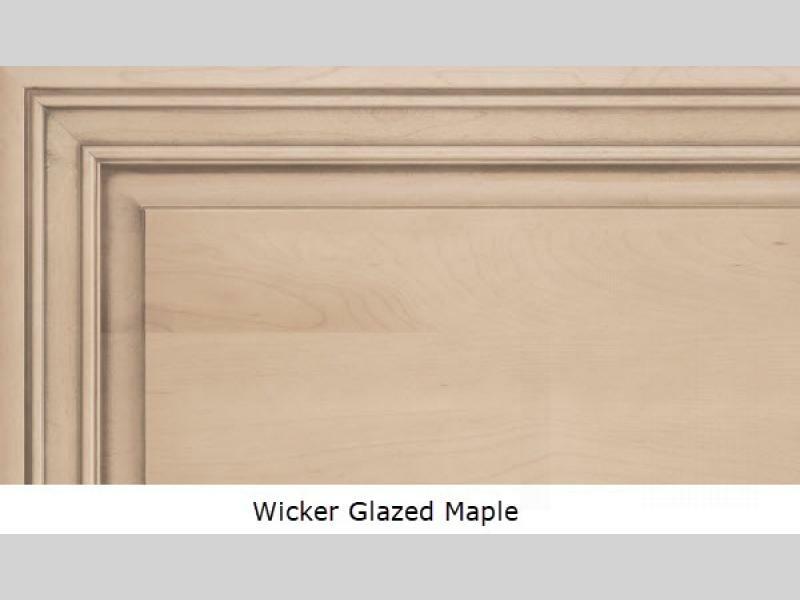 All models give you triple or quadruple slideouts to maximize your living space. 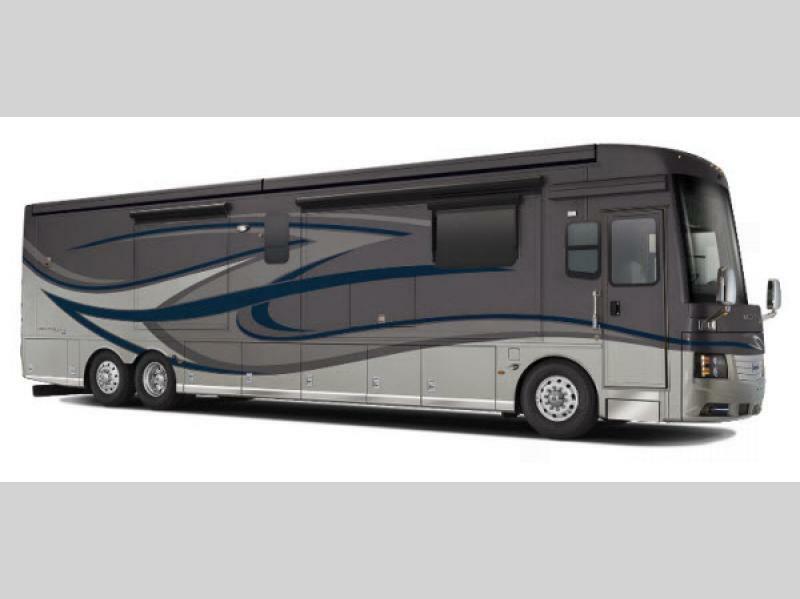 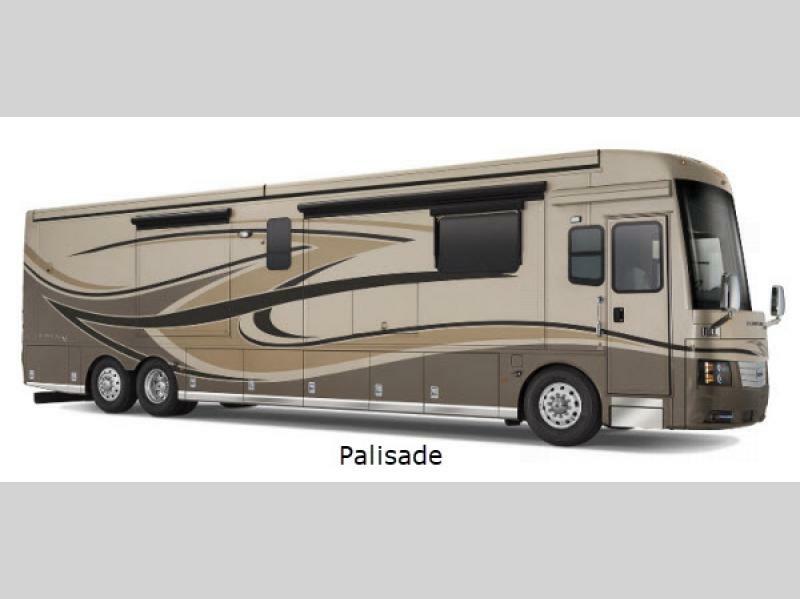 Are you ready yet to take in the Mountain Aire diesel class A motor coach? 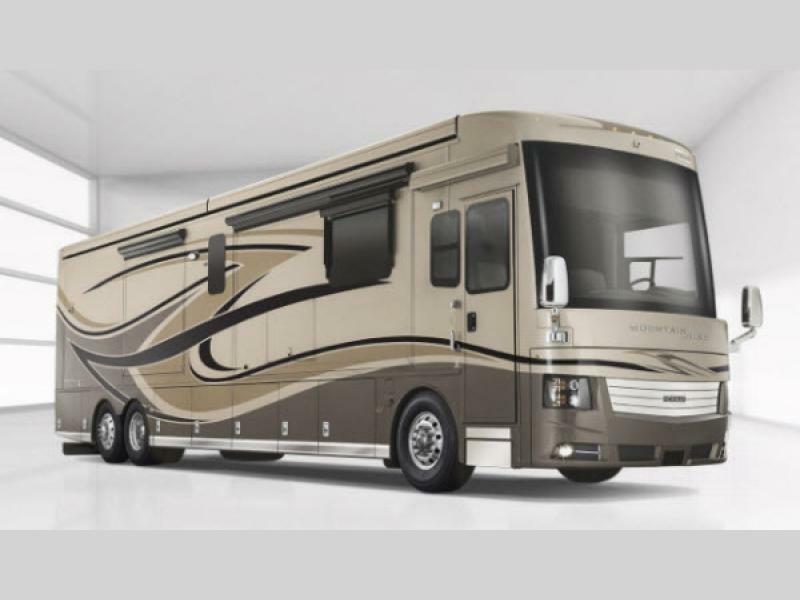 These motor homes are guaranteed luxury that will take your breath away! 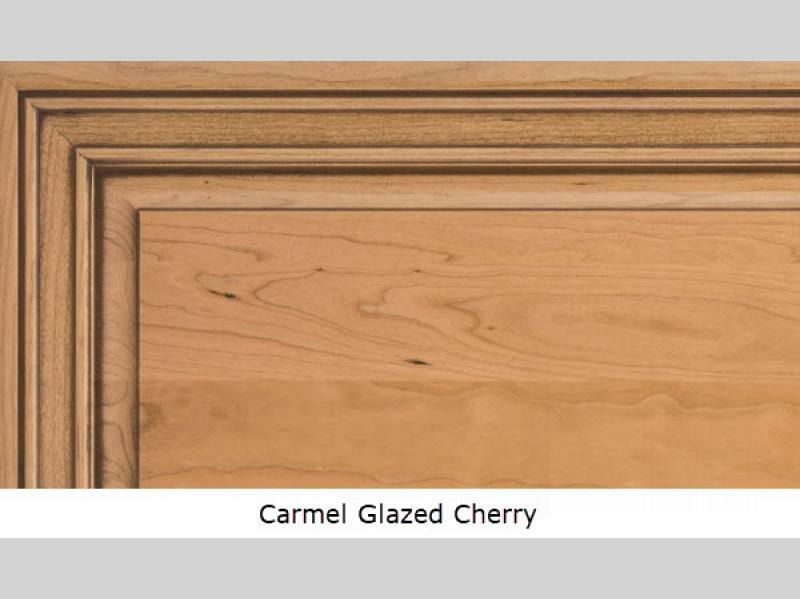 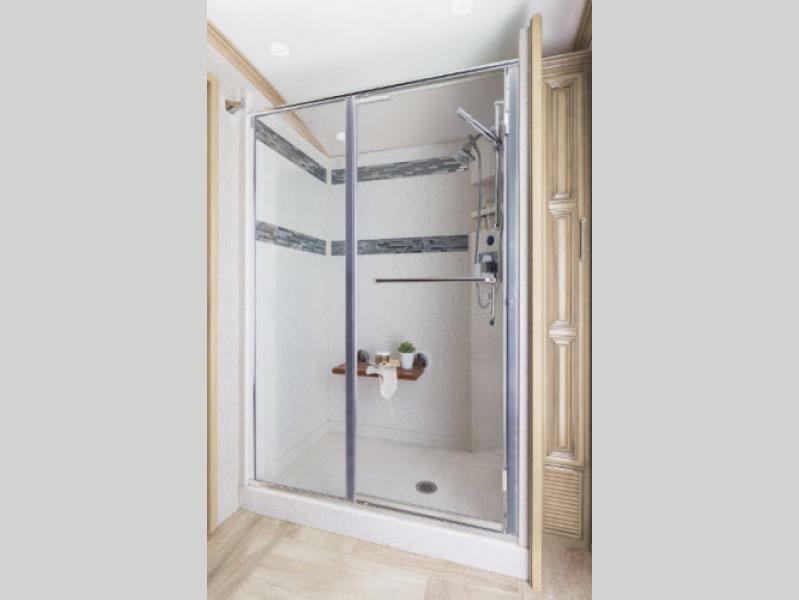 Shower Size 50" x 34"
Shower Size 40" x 40"
Shower Size 40" x 32"
Newmar is a company built around the Christian faith, specifically the beginning of the Mennonite faith in 1525 under the guidance of Ulrich Zwingli, and the founding of the Amish fellowship under Jacob Amman in 1693. 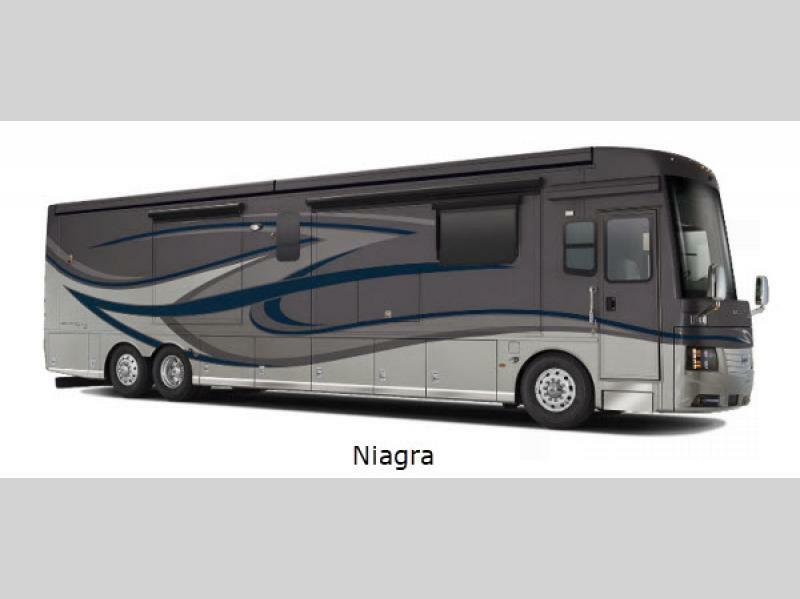 At Newmar, we believe that a motor coach is more than just a vehicle, it’s a passport to countless hours of fun and a lifelong memories taken from quality time spent with family and friends. 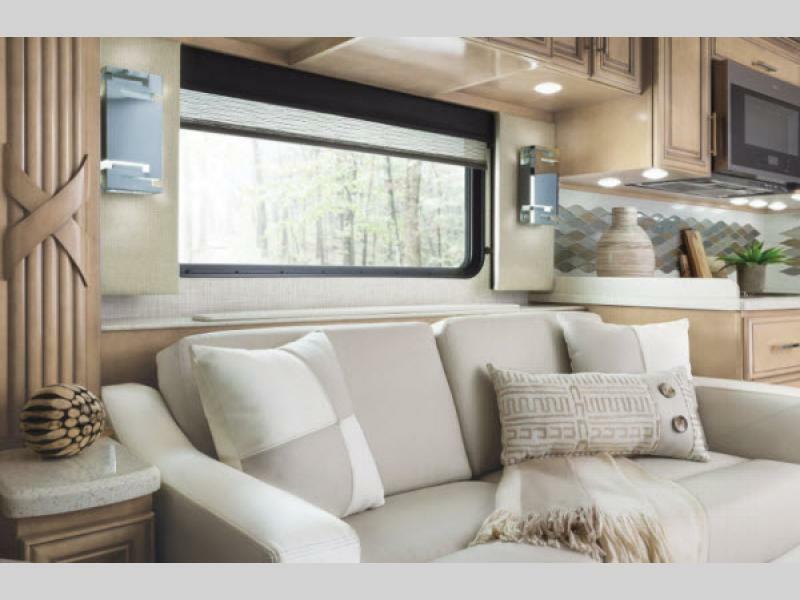 For over 50 years, we’ve applied our principles to the creation of motor coaches that have allowed people all over the world to live the RV lifestyle. 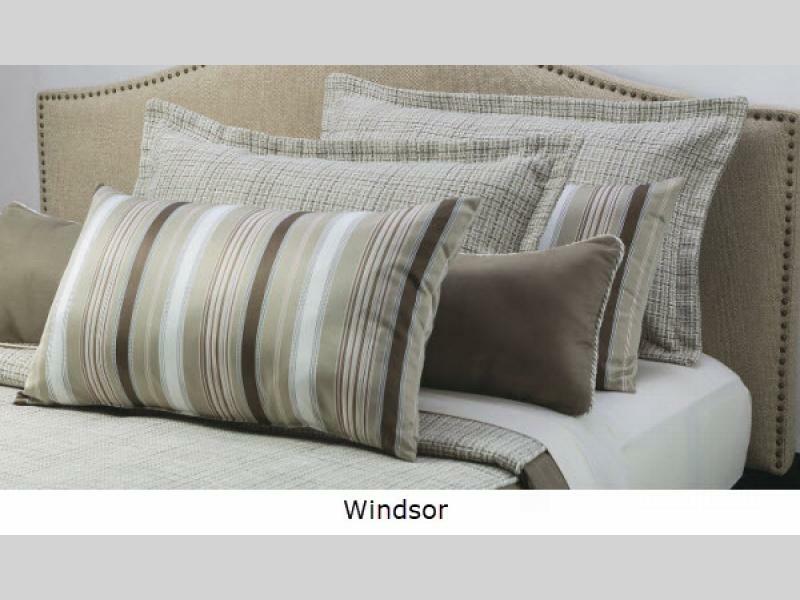 And we’ll continue to so for countless generations to come. 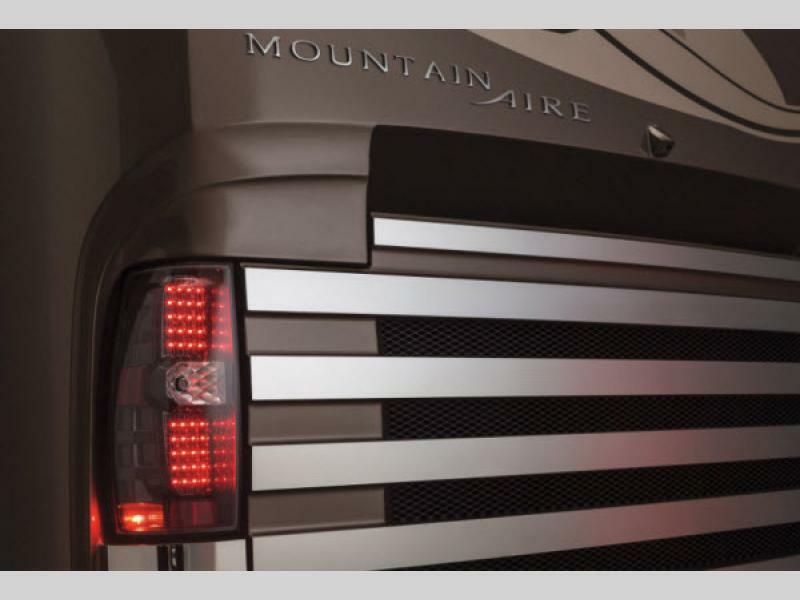 It’s why we take pride in every rivet, weld, and mechanical function.